Drastic price cut! Although the structure was built in 1930, this home is like a new build as it was completely gutted and remodeled in 2010. All new electric, plumbing, drywall, flooring, Cathedral ceiling, thermopane windows throughout, both bathrooms, 6 panel doors, roof and furnace! Central AC was added in 2013 and the hot water heater in 2015! Located in the tranquil setting of Ides Cove. You'll love coming home to this 2/3 bedroom, 2 bath home. The wall of windows showcases your view of the Cove and Bay. 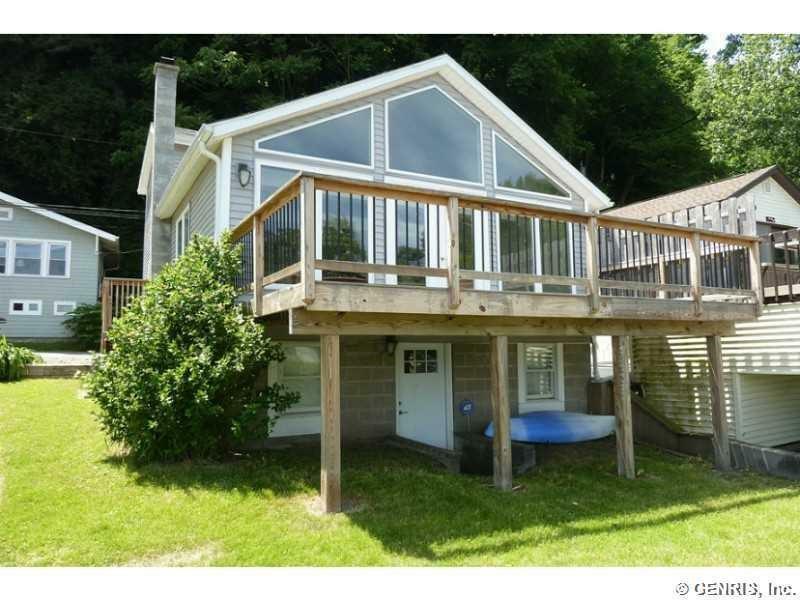 You'll enjoy relaxing or entertaining on the 20x10 deck, kayaking in the Cove or boating on the Bay with convenient access to Lake Ontario. The finished walkout lower level adds an additional ~ 230 sq ft of Living space, ideal for a 3rd bedroom, guest room or Family room.